If you're like me and my family, you are on a tight budget this summer! With the cost of camps for the kids and gas for the car, new outdoor toys, and (sometimes expensive) Montessori materials, your wallet will shrink in no time (if there was anything in there to begin with)! 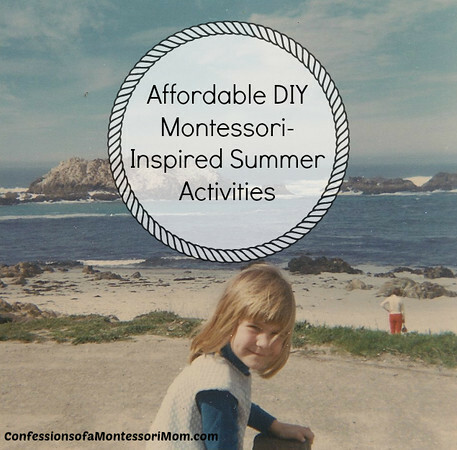 Thanks to the Internet and some FANTASTIC Montessori mom bloggers, I rounded up a few budget-conscious activities for you to do at home during the summer break, the good kind of break! Trish on the Live and Learn Farm Montessori and homeschool blog (for older children) shows you how to do Scavenger hunts using a map and compass. And get ready for some yummy summer treats at Aubrey's blog where she offers articles on strawberry slicing; making a summer breakfast; and planning for the summer! Making Montessori Ours is going outside with their Kid's Garden Planner and Unit! 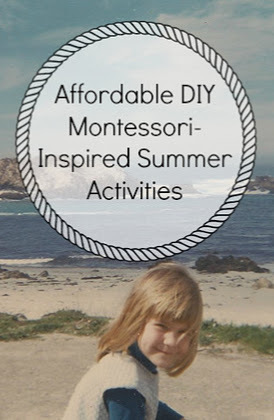 Looking for affordable Montessori programs or PDFs for birth to age nine? Visit my website Montessori for the Earth. Have a happy summer and stay cool!